"These tasty low-carb and grain-free keto tortillas are perfect for your next taco or fajita night. 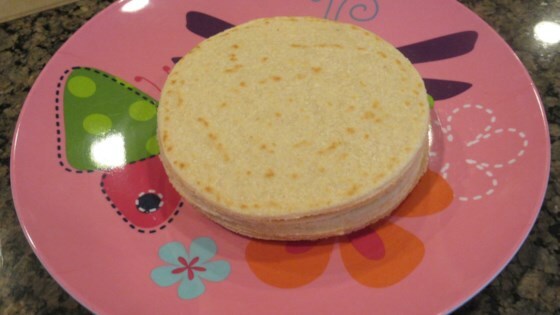 So easy and quick to make, and they taste like real tortillas!" Combine almond flour, coconut flour, xanthan gum, baking powder, and salt in the bowl of a food processor; pulse until well combined. Pour apple cider vinegar into the mixture and blend until smooth. Add egg and water, 1 tablespoon at a time, and blend until a sticky dough ball is formed. Place the dough on a surface sprinkled with almond flour and knead until soft, about 2 minutes. Wrap dough in plastic wrap and let it stand for 10 minutes. Divide dough into 8 equal balls; roll out each ball into a 5-inch disc between two sheets of parchment paper. Heat an iron skillet over medium-high heat and grease with cooking spray. Place dough disc in the hot skillet for just 5 seconds; flip it immediately with a spatula, and cook until lightly golden, about 40 seconds. Flip and cook for another 40 seconds. i made these and they were delicious. I think there is too much water so I will add less next time. Way different then traditional flour tortillas, sweeter. Very filling!